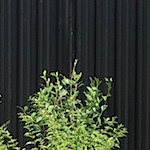 National Metal offers a complete line of high quality metal fence systems in both traditional chainlink and unique ornamental aluminum along with all the necessary parts and hardware. From heavy mil PVC coated chainlink to hot dipped galvanized National Metal caries it all. Including heavy duty T posts and heavy duty studded T Posts, many types of gates, along with all the caps and finials. Industrial materials for commercial and residential applications, including: concrete lumber, guard rail, safety rolled fence, snow fence, etc. Featuring all types of gates including color coated pipe gate frames, commercial cantilever gates, commercial swing gates, along with ornamental aluminum sections, and kennels. Metal pool enclosures and fencing. 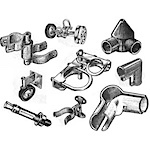 National Metal Industries offer a wide varitity of hardware to fit any fencing application. 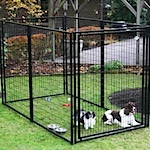 Dog Kennel Gates and Dog Kennel Panels. Virtually maintenance free visual barrier. Metal privacy panels for commercial or residential applications. 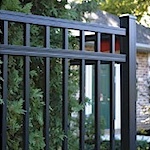 Swing gates and slide gates are also available. Used for overhead doors, dock doors, storefronts, commercial and industrial use.